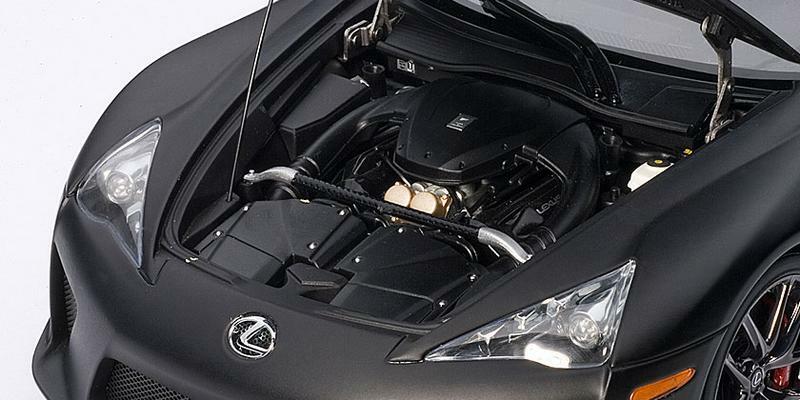 The 1:18 AUTOart Lexus LFA is one of the most popular models of 2011. And with good reason, you will see with this review. But before we get into the details about the model, let’s take a look at the real car. There’s no other word, it is stunning. From every angle it looks lean and mean. The car first started as a concept way back in 2003. Slowly it was developed into several versions and in 2009 it was announced that the car will be put into production. It is limited to only 500 cars worldwide and the list is already filled. The LFA has a 4.8-liter V19 engine with a LOT of technology that will make you dizzy if you actually have to see, read and understand. The end result is easy to understand though: 560 hp, 480 Nm of torque and an engine revving up to 9000 rpm. The transmission is a 6-speed automated sequential with paddle-shifters and several settings including fully automatic. 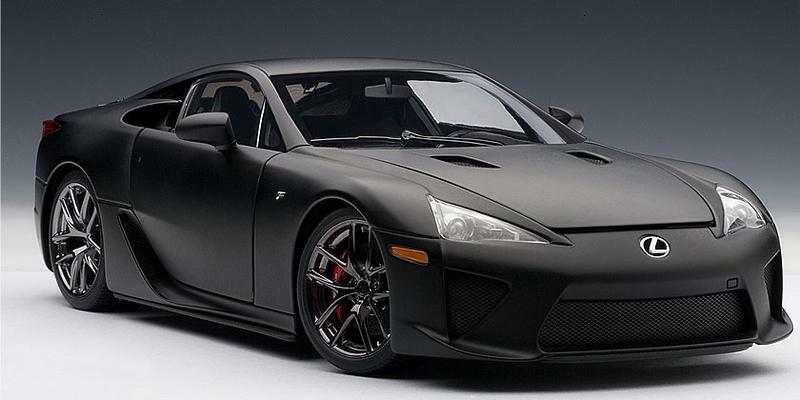 The LFA is rear-wheel drive with all the necessary technology to make the drive as amazing as possible. As a result the LFA gets from 0-100 km/h for 3.6 seconds and continues climbing up the speedometer until 326 km/h (203 mph). And now we get to the best part – the review. The images are provided by AUTOart and mdiecast.com. We begin with the exterior. This is without a doubt the strong point of the model. It just oozes the savageness of the real car in spades. The stance, scale and details are superb. The headlights are also very well done and quite accurate. The front grilles are metal and perforated. Around the back is a similar story. Perfect taillights and amazing grilles. The trunk lid is mounted on nice struts and realistic hinges and reveals a fully carpeted luggage space. There is a nifty spoiler on the back, which you can actually miss if you don’t know it is there, because of the superb panel gaps. It is mounted on realistic struts. 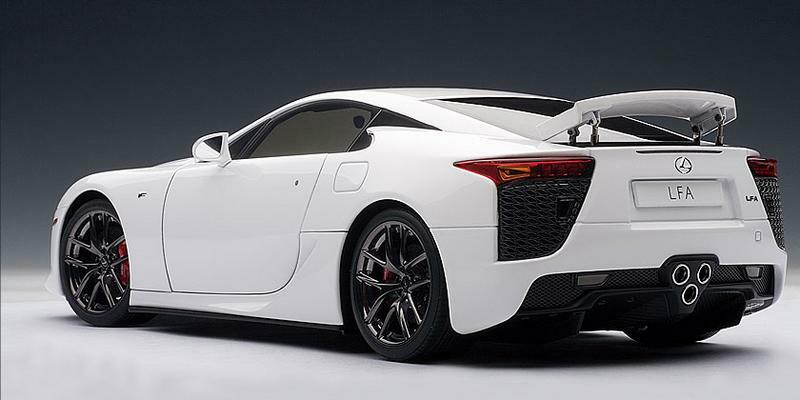 The wheels of the AUTOart Lexus LFA are also amazing. They are well scaled and beautifully manufactured. Behind them there are precise brake calipers and perforated brake discs. The ride height is also spot on. Under the hood you will be greeted by a nice replica of the engine. It doesn’t offer a lot of stuff to see but that is the real car’s fault. What is available to see is quite impressive and well modeled by AUTOart. Note the realistic hinges. And not it is time for the interior. 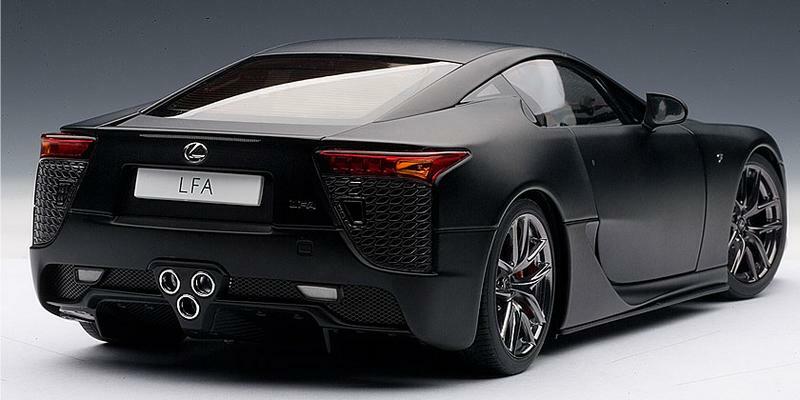 It also correctly captures all the details of the real LFA. The door panels are nicely done, the dashboard and center console are well modeled and detailed. The steering wheel is also quite impressive. Underneath there is nothing much to see really. 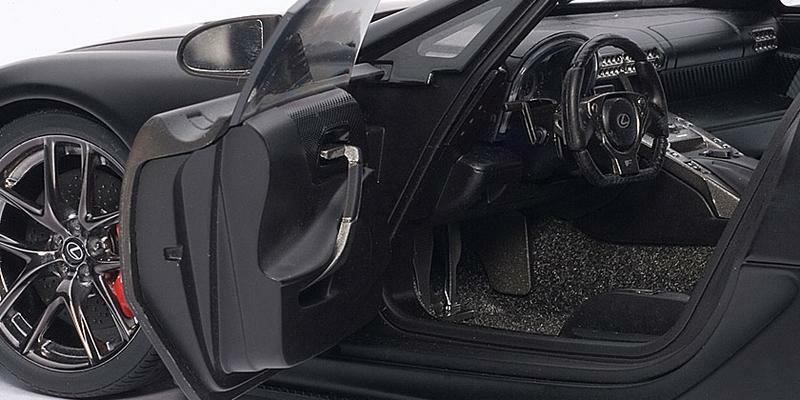 Again, the fault is not with the model but the real car which has floor panels hiding most of the “organs”. What is visible though is quite well made. 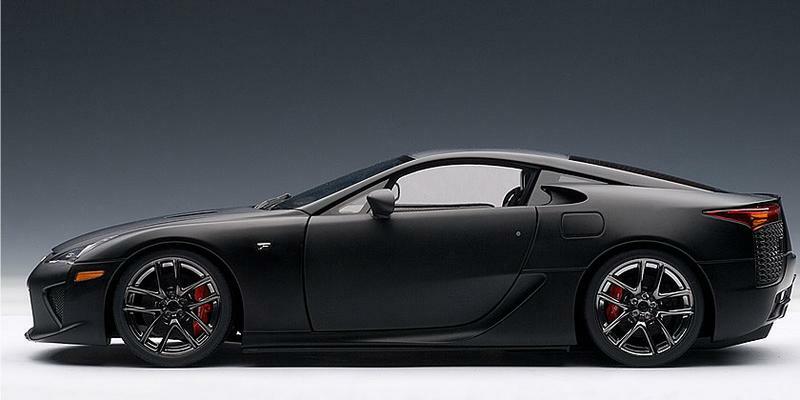 Overall the 1:18 AUTOart Lexus LFA is a very good and impressive model. If you want one you better be quick though as the models are flying of the shelves almost as fast as the LFA is accelerating. Most of the stock is already sold out from AUTOart and in most stores.